FlexFoam-iT! 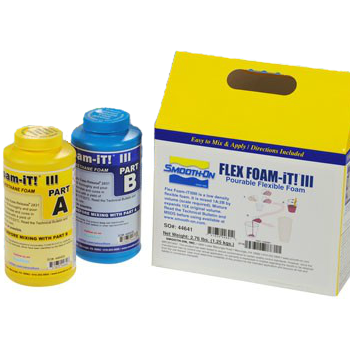 expanding flexible foams are durable, easy to use, and multi-purpose. "They can be used for padding/cushion material, gasket material, or to make props and special effects. Vibrant colors can be achieved by adding color pigments." These are available in a 2-2.8lb trial size. Please click here for additional product information and project ideas directly from Smooth-On!